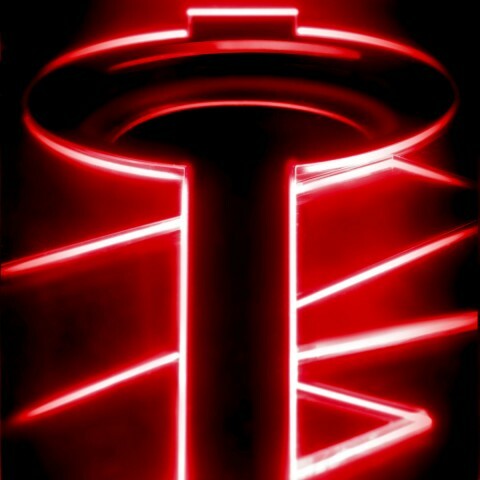 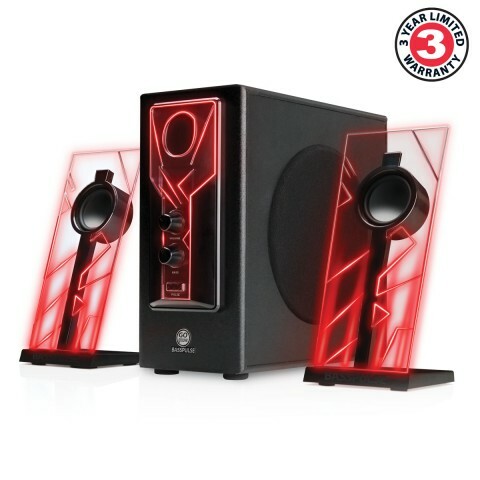 The GOgroove BassPULSE speakers will bring to life any room with its glowing red LED accents and powerful side-firing subwoofer. 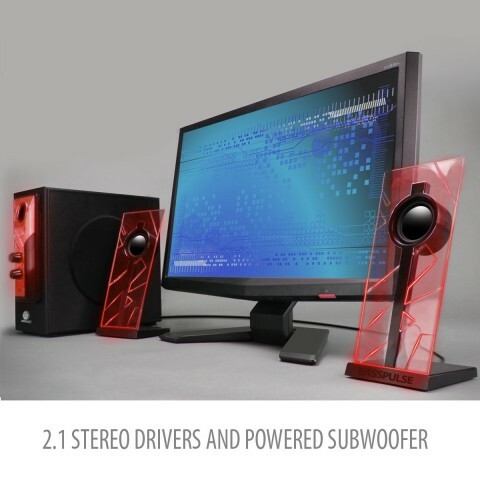 These speakers pair perfectly with your gaming setup or home entertainment system, creating a modern and electric ambience. 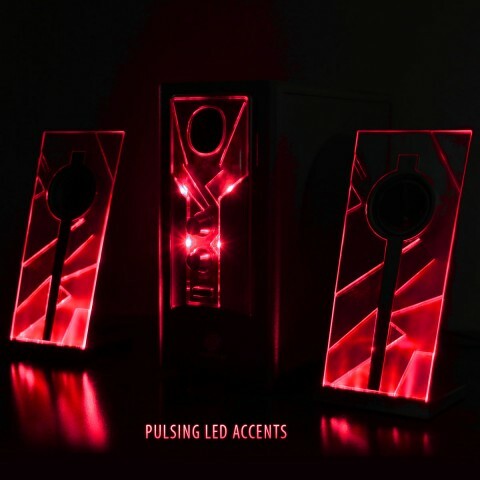 Another feature that sets the BassPULSE apart from other black and boring speaker systems is the glowing LED lights. 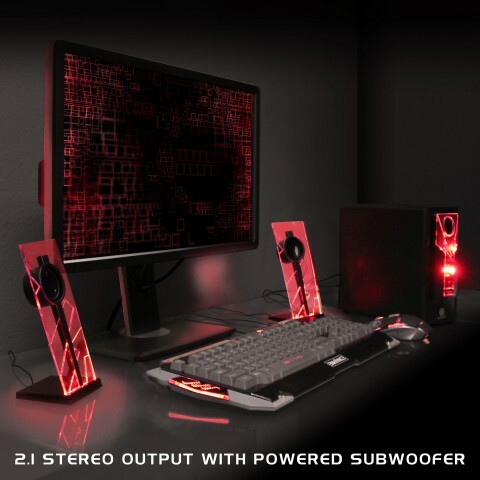 When the mood strikes, press the PULSE button and the satellites and matching subwoofer will glow red. 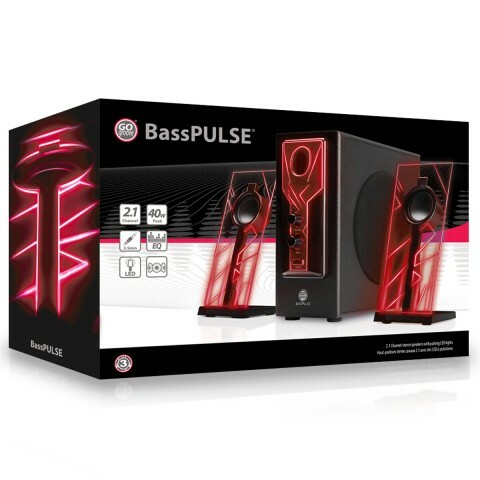 To get the party really going, turn up the bass equalizer past 80% for a pulsating light show that moves to the beat of the bass! 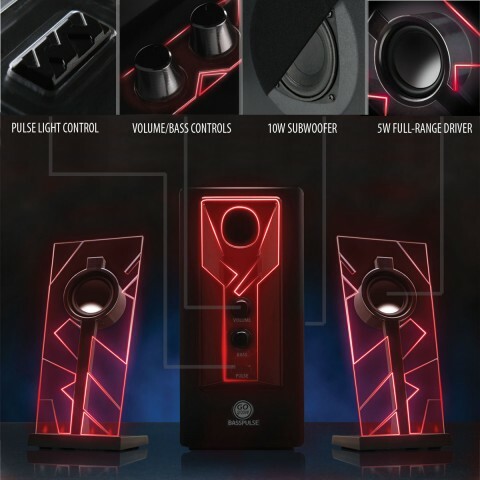 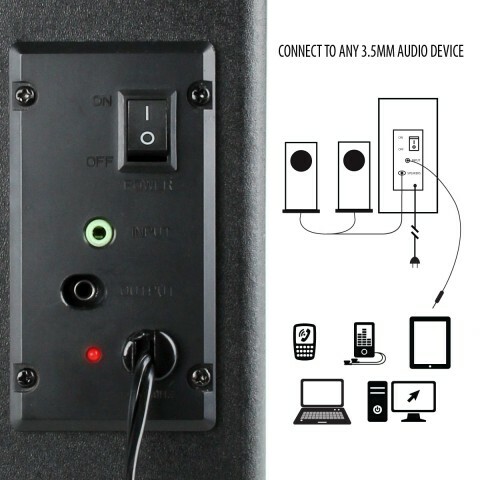 This electric feature adds a touch of powerful design to your listening experience. 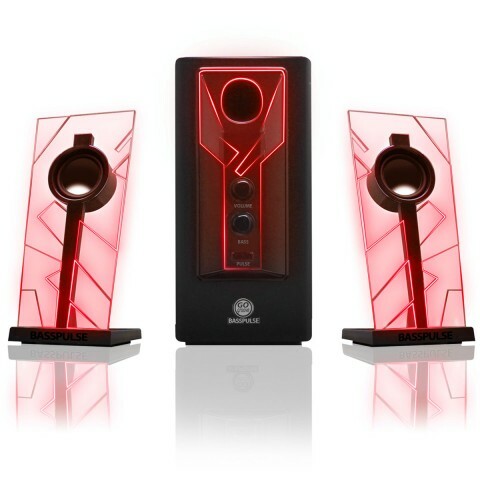 The distinctive satellite speakers have the drivers embedded in a crystalline style acrylic housing that's both mesmerizing and modern.